A passes to B. B drives a long pass across to C.
B Works as a passive defender. 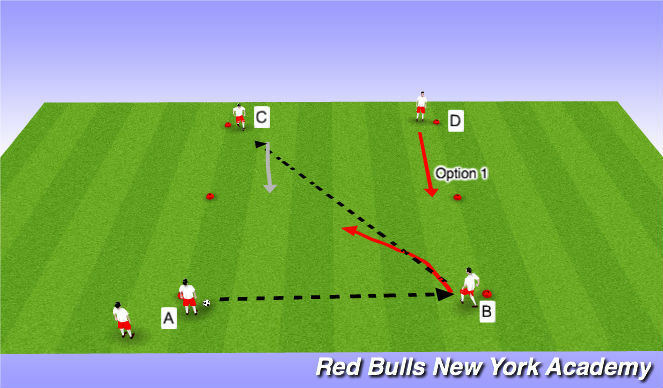 Rotation: A - B - C - D.
3) Space and time from defender. Competition. Find out which pair is the best attacking pair. Create a world cup point system.